It sounds like you lost a war, bud. 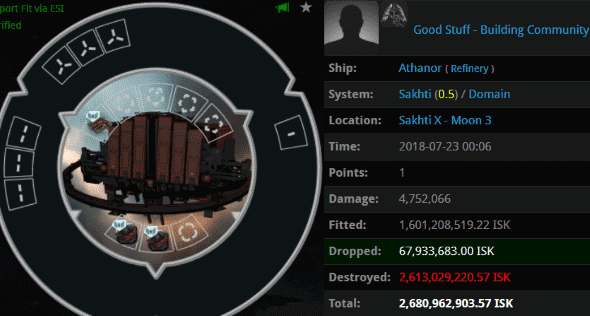 Good Stuff - Building Community corp lost four of these refineries, for a total loss of 10.8 billion isk. Agents Blazing Pancake, Sigrid Tystnad, Discofitta, Kissemurra, Delicate Feminine Flower, Ice is Nice, Rainbow Cake, Chocolate Rainbow Cake, Dominated, Jathrine, Love Humps, and Kermakakku sent in an elite team of Bhaalgorns to take them down. It's not every day you see CODE. members using Bhaalgorns, but there you go. There's nothing "good" about bot-aspirancy. And bot-aspirants certainly don't know anything about community. 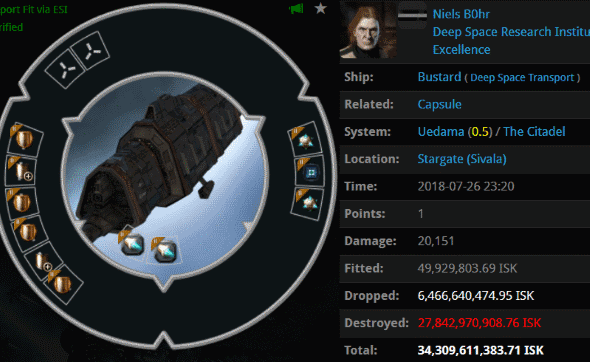 How do you lose 39 billion isk in highsec? Autopilot in an unlicensed freighter, of course. Apollo609 reduced his Charon's hitpoints with cargo expanders and headed straight for Uedama. It didn't take the Kusion family long to find out what was going on in their backyard. Agents Jake Kusion, Joel Kusion, Justin Kusion, Jackson Kusion, Jayson Kusion, Joseph Kusion, Jeremiah Kusion, Johnathan Kusion, Joshua Kusion, Jayden Kusion, Jacob Kusion, Jeremy Kusion, Josh Kusion, Josiah Kusion, Jessie Kusion, Jeffery Kusion, Jonas Kusion, Jack Kusion, Jimmy Kusion, and HSM Vice Admiral got together and barbecued the freighter. 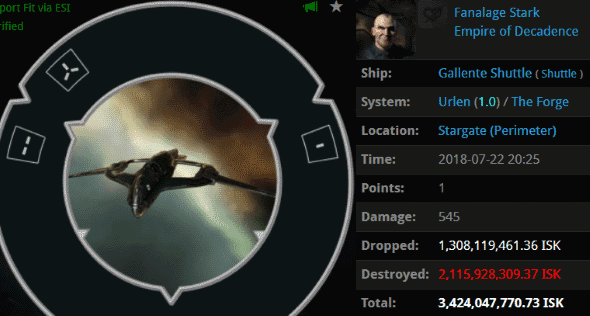 How do you lose 39 billion isk in highsec? Niels B0hr had a different answer: Use a Deep Space Transport. He, too, tried to smuggle billions worth of contraband through Uedama. But the Kusion family doesn't discriminate. They'll kill any target worthy of their attention, even if it's not technically a freighter. Agents Joseph Kusion, Jeremiah Kusion, Jackson Kusion, Jason Kusion, Joel Kusion, Jayden Kusion, Jake Kusion, Jayson Kusion, Justin Kusion, Joshua Kusion, Johnathan Kusion, Jessie Kusion, Jack Kusion, Jacob Kusion, Jonas Kusion, Josiah Kusion, Jeffery Kusion, Jimmy Kusion, Josh Kusion, and Jeremy Kusion grilled the Bustard and fed upon the loot it dropped. 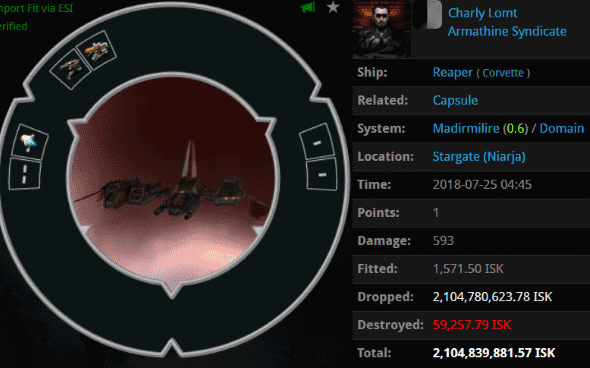 Yes, ol' Charly lost 2 billion isk in a virtually unfit rookie ship. 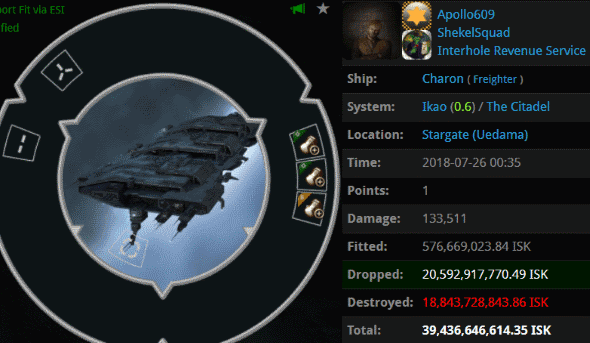 People like Charly are why Aaaarrgg still ganks every rookie ship he sees. ...And people like Fanalage Stark are why our Agents gank every autopiloting shuttle they see. As Agent Viirilithizu Ward will tell you, such shuttles are a lot more rare today than they were a few years ago. Don't worry, our Agents will keep hunting these guys until they're extinct. Sinara Hekard was yet another casualty of Uedama. 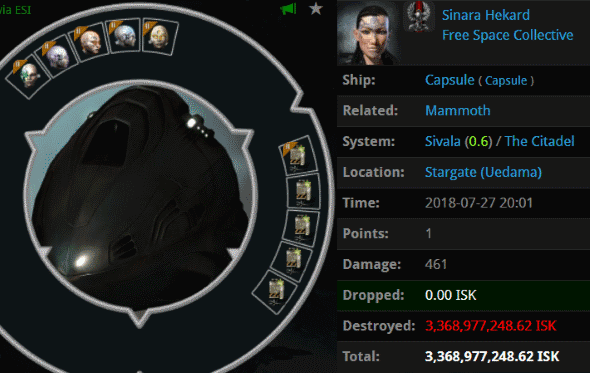 Agent Cautiously Pessimistic popped her 3.3 billion isk pod after removing it from a 33 million isk fail-Mammoth. 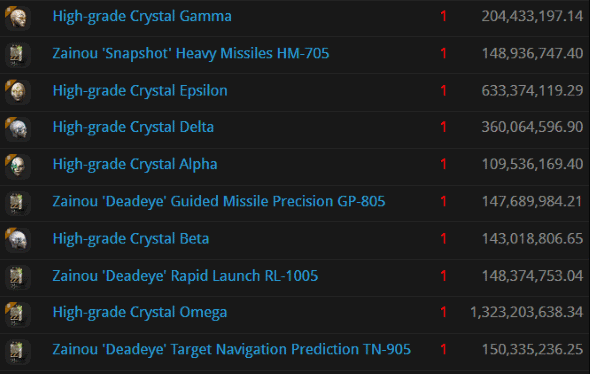 That's a lot of expensive gear for someone who lurches around highsec all day in a tech I hauler. Perhaps she received those implants as a gift? If so, our Agents gave her a better one: The Code. The gift that keeps on giving shitters a face full of hot gooey Void. Another week of AG failure! Has anyone worked out an algorithm to determine the rate of their constant failure? How often do they fail? Do they ever stop? No need for heavy math, ag fails daily, nonstop. And since The "Code Always Wins! Always!" We can know with certainty that ag has failed just by being antigankers. The only variable would be the number of shitters failing at once, and we know that's always 100% of the ag participants. "Mathematics is not about numbers, equations, computations, or algorithms: it's about UNDERSTANDING." - W.P. Thurston. Pretty sure Thurston had ag in mind when he said it.